THE Talisay City Council expressed support for the proposed Light Rail Transit (LRT) project in Cebu. During the council’s regular session last Tuesday, a proposed resolution passed by Councilor Rodrigo Cabigas, which calls for the City to support the bill of Rep. Gerald Anthony “Samsam” Gullas (Cebu, 1st district) to implement an LRT system in Metro Cebu, was passed in mass motion. Mayor Eduardo Gullas, in a separate interview, said he was glad a lot of leaders in Cebu, even those who used to oppose the LRT, now support it. Vice Mayor Alan Bucao told reporters they passed the resolution because they thought it’s about time for Cebu to have an LRT. Bucao said one of the advantages of the LRT is that the local government units don’t need to spend much since the system doesn’t require a lot of space. As for the Bus Rapid Transit system, Bucao said it isn’t applicable in the metro because of the narrow roads. In a separate interview, Mayor Gullas told reporters that the recent announcement of President Rodrigo Duterte to support the implementation of the LRT here in Cebu justified his efforts in promoting it. 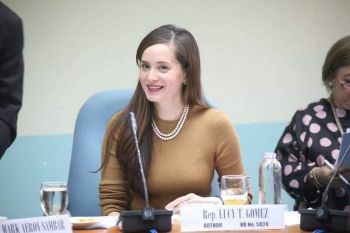 When he was still a first district representative, he said, he filed a bill supporting the LRT in Metro Cebu during the administration of former president Gloria Macapagal-Arroyo. But because of strong opposition, the bill was scrapped. It was refiled by his grandson during the 16th and 17th Congress. In his original measure, the mayor proposed to establish LRT lines from Talisay to Argao in the south, and Talisay to Mandaue City and Mandaue to Sogod in the north, and Mandaue to the Mactan-Cebu International Airport. Gullas said he was surprised that leaders like Cebu City Mayor Tomas Osmeña, who earlier expressed disdain for the LRT system, now supports it. He believes Duterte’s support for the LRT is a factor as to why some leaders had a change of heart. “The turning point (on LRT) was Digong’s strong endorsement for it,” Gullas said.